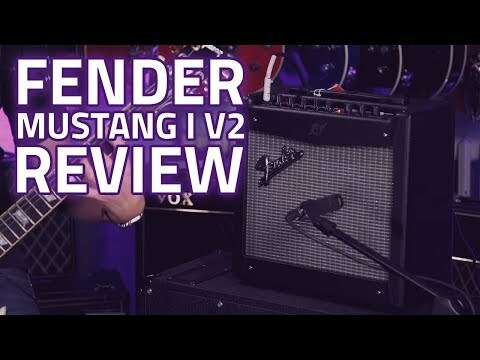 Fender Mustang I V2 Guitar Amplifier Combo The world's best-selling amplifier series is back with new features, a new look and all the flexi.. The world's best-selling amplifier series is back with new features, a new look and all the flexibility you've come to expect from a Fender amp. The Mustang I V2 remains portable for everyday home use but loaded with a versatile array of tone options to experiment and play with new sounds at the touch of a button. 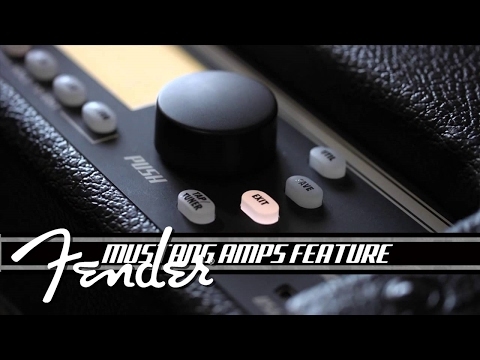 The second incarnation of the award-winning Fender Mustang amplifiers incorporate some of Fender's latest technology and circuitry, resulting in a feature-packed amp that remains lightweight and portable enough to take anywhere. Five new amp models, now totalling 18, are packed inside the Mustang I, offering an extremely versatile array of tones for your front room or rehearsal space. Get even more creative with five new effects and intelligent pitch shifting. The new Mustang Series features USB connectivity for direct connectivity to your computer or DAW software. The Mustang I V.2 comes with the Fender FUSE and Ableton Live software suites for easy recording and sequencing. 20 watts of power and an 8" driver won't take the roof off, but offers plenty of dynamic range and volume for jamming sessions with the band or practicing at home. At this price point, we're amazed at what's packed inside and under the hood of the Mustang I V2.